All cell towers and other communication facilities licensed or permitted by the Federal Communications Commission (FCC) are subject to Section 106 of the National Historic Preservation Act. 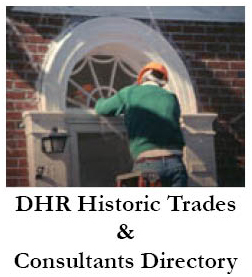 DHR expects all FCC applicants or their consultants to utilize the FCC’s Electronic Section 106 (E-106) System to obtain comments from the State Historic Preservation Office (SHPO). For all other project review requests, please use DHR’s ePIX system. By using the FCC’s E-106 System, parties proposing to construct communications facilities can now electronically submit to the FCC Form 620, or 621 to the SHPO using a secure website maintained by the FCC. This system also provides electronic notice of the filing to the SHPO, federally recognized Indian Tribes, and other consulting parties, who will be able to access the filings pertinent to them using a secure password. DHR will use the system to comment on filings and otherwise participate in the process. 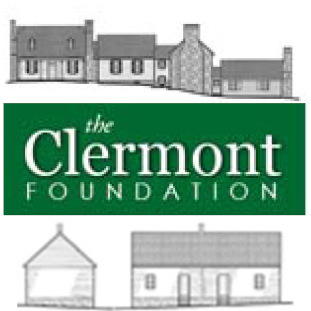 Guidelines for the Submission and Review of FCC Projects have been developed with consideration of the Nationwide Programmatic Agreement for Review of Effects on Historic Properties for Certain Undertakings Approved by the Federal Communications Commission (2004; NPA) and the Nationwide Programmatic Agreement for the Collocation of Wireless Antennas (2001). Please familiarize yourself with these agreements and DHR’s Guidelines prior to submitting an FCC project for DHR review. For guidance on addressing indirect effects, please see DHR’s Assessing Visual Effects on Historic Properties. It is important to note that a Program Comment issued by the Advisory Council on Historic Preservation (ACHP), allows the U.S. Department of Commerce National Telecommunications and Information Administration (NTIA), U.S. Department of Agriculture Rural Utilities Service (RUS), and Federal Emergency Management Agency (FEMA) to defer their Section 106 responsibilities to the FCC for certain broadband projects. The construction of communication towers and antennas as well as collocation on existing towers and antennae for broadband deployment under the NTIA’s Broadband Technology Opportunities Program (BTOP) and RUS’s Broadband Initiatives Program (BIP) fall under this Program Comment. The FCC’s E-106 System should be used for all broadband project components subject to the FCC’s NPA. For all remaining project components, please consult with the SHPO through DHR’s ePIX system. Whenever the NTIA, RUS, or FEMA uses this Program Comment for relevant projects, that agency should notify the SHPO.